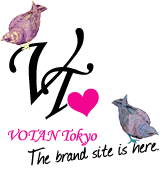 VOTAN Tokyo offers "girls' favorite" accessories that make you happy when you wear them. The bitter-sweet designs are inspired by music and world-wide travels that Linda loves so much. VOTAN Tokyo, a Tokyo based brand, is perfect for gorgeous ladies who are like peonies in full bloom. With a mission to support, inspire, and empower brands, Love+Made was founded on the idea to pursue something from the heart and ultimately do what you love. Love+Made consists of an all female team, each bringing a vast range of experience and expertise in fashion, music, and art, providing services in design, styling, sales, marketing, event production, and consulting. Together they promote creativity and innovation, bringing cutting edge designs and fresh ideas to each project. founded by Aaron Hansen and Mikol Stambaugh who developed a line with a distinct emphasis on innovative design and high quality. CONTEGO frames are available in a variety of shapes and colorways that push ahead of the creative curve while remaining on-trend. The CONTEGO collection offers handcrafted acetate frames in CR39 and Polarized lenses. Both lens options feature a high resistance to abrasion, frames are constructed with stainless steel hardware for increased durability, and meet all EU Standards for UV protection. CONTEGO sees the bigger picture and believes in the importance of giving back. Working with RestoringVision.org, after each purchase of CONTEGO frames, a pair of prescription glasses will be delivered to someone less fortunate. FLUD is the brain child of Doug “Sugercuts” Cohen, whom used to run big turntablelist events called tableturns and also helped design a DJ mixer for Rane and suported many famous DJ like DJ Q-BERT, DJ A-TRAK who is the DJ for Kanye West and DJ NeilArmstrong as well. His Background in urban music inspired the signature FLUD piece “Tableturns” which had driven much attention to the brand. Flud’s design pay tribute to the culture the company lives and breath, Sparking about the inspiration of Tableturns. This is also realizied they connect to what he did in the past.The FLUD line is getting more evolutionary step forward, growth and maturity in the brand.Flud design team has created an entire new line,presenting a collection that has more visual impact then the previous,while maintaining the same amazing price points. Flud has carved a foothold in the accessories market and continues to impress with its fresh approach to filling a void. Downtown’s Sweetheart aka Va$h Money aka Vashius Klay. A Lady of Leisure, Jordan 3 Villain, TomBoy Extraordinaire, Style Maven, Luxury Handbag Queen, Vintage Don, Fashion Addict, and Art Nerd. Born in Albany NY and reborn in NYC. Studied directing/cinematography at The School of Visual Arts.